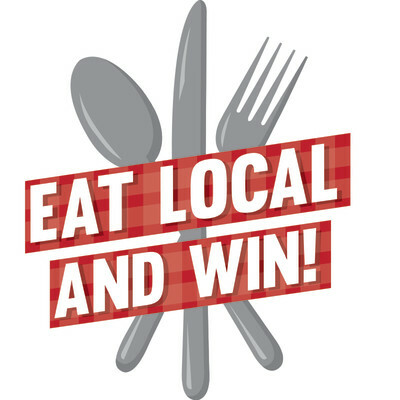 Eat Local and Win is the Chamber's popular summer dining program. The promotion encourages dining in Carbondale's great restaurants during the a portion of the summer months. Customers obtain an official Eat Local & Win punch card at participating eateries. drawing the first week of September. Grand Prize - 8 gift cards for participating restaurants - $200 in meals! Second Prize - 5 gift cards for participating restaurants - $125 in meals! Third through Fifth Prizes - 2 gift cards each - $25 in meals! The program is free to eatery patrons. Punch cards may be picked up at participating eateries, the Chamber office or downloaded here. For more information on Eat Local and Win, call the Chamber at (618) 549-2146.